It was the last day of school. I was planning on heading down to the Chicago Blues Fest with some co-workers, but I had to clean my desk and haul some books down to the "rebind" room. That took longer than I had anticipated. Plus, the weather didn't look so great. So, I decided to skip that trip and just head home. 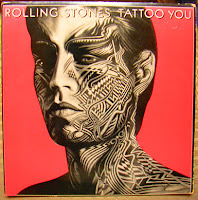 Browsing through the Rs, I came across Tattoo You, the 1981 release from the Rolling Stones. Back when the album was released, I checked it out at the library and made a copy on cassette. That cassette has long since vanished. So there it was: my vinyl choice of the day: The Rolling Stones. He was the owner of the record. A proud owner, I must say. Why else would he have written his name over all parts of the album? Over the course of the last several months as I have rediscovered my love for vinyl, that is one thing that I have noticed about many of the used albums I have come across: people liked to put their names on them. To mark their territory, so to speak. As if to say, "Hey, this is mine." Of course, people shared albums all of the time and placing one's name on the album assured that the album would be returned There are still some albums that I know I had in my collection that are now noticeably absent. I never placed my name on any of my albums. 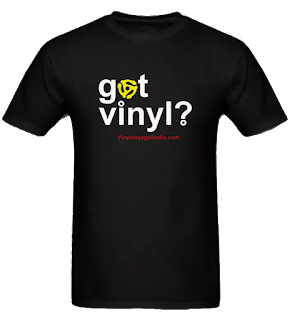 And look where that's gotten me, wondering whatever happened to Bruce Springsteen and Billy Joel, among others. Writing names on albums was more than just marking territory though. It was more than just saying, "This album belongs to me." It was as if that name becomes a declaration of faith in the artist and what that artist represents. We all develop very personal relationships with music and it is music that marks very specific moments in our lives. Years later a song can trigger a memory. A feeling. A moment that may have been lost and suddenly returned as if it were yesterday by a few chords from a guitar riff. That is power and we come to feel that we own the music itself on that record. Once it is made by the artists it becomes ours. We're attached to it as if it were made just for us. Which is why we sometimes feel slighted when we feel that an artist has "sold out." When I first heard Robert Plant's voice selling Cadillac I almost fell off my seat. Are you kidding me? Led Zeppelin and Cadillac? That's not all music, of course. I can't imagine a time down the road when I worry that Lady Gaga has sold out. Or having some Britney Spears' song sparking a memory. Music is such a personal thing. 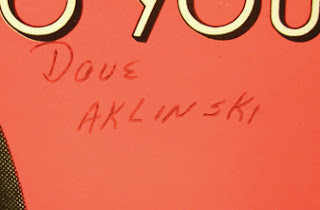 Dave Aklinski was not just declaring that Tattoo You was his. It was a little more than that. I assume that there must have been several Stones albums in his collection. He was a Stones fan and that mark on the cover was a declaration of "fandome," if that is even a word. If not, it should be. Someone who puts their name on an album no doubt has had some very vigorous discussions about that band--perhaps defending them against some naysayers or discussing the virtues of one album over another. That's what it means to be a fan. So I paid $3.21 for Dave Arlinksi's Tattoo You album. You can't get a better deal than that. I played it for my two boys when I got home and we danced in the basement to "Start Me Up." And I was reminded of the time back in 1981 when I watched a Stones concert on pay-per-view with some friends. I can still see Mick Jagger running around the stage in tight yellow pants and an orange tank top. Yep, that's the power of music. Thanks, Dave Aklinski, for taking such good care of that album. 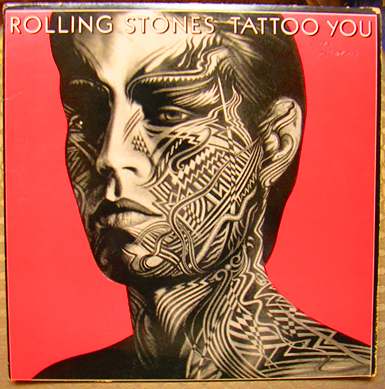 And if anyone knows a Dave Aklinski in the Chicago area who at one time owned this Tattoo You album, tell him that I now have it. And I am taking good care of it. 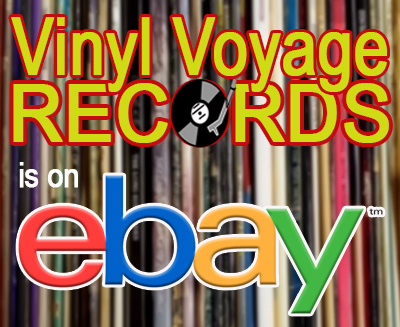 You can hear selections from Tattoo You and other Rolling Stones' albums on The Vinyl Voyage, where all music is played on vinyl---just as music should be. What an article. 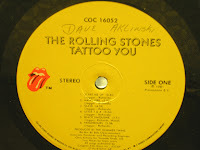 I am Dave Aklinski and remember buying that album at Record City (now gone) on Oakton as freshman in high school. My first concert was the Rolling Stones (Super Bowl of Rock - Soldier Field). I am glad to see it is in good hands and still being enjoyed. Every time I hear Start Me Up at a sporting event I think of air guitaring in my room in Niles to this album! Enjoy!